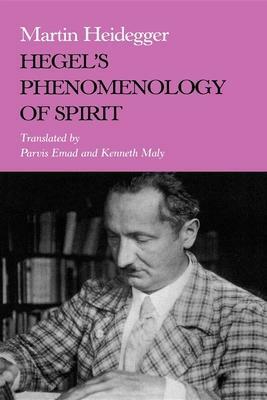 The text of Martin Heidegger's 1930-1931 lecture course on Hegel's Phenomenology of Spirit contains some of Heidegger's most crucial statements about temporality, ontological difference and dialectic, and being and time in Hegel. Within the context of Heidegger's project of reinterpreting Western thought through its central figures, Heidegger takes up a fundamental concern of Being and Time, "a dismantling of the history of ontology with the problematic of temporality as a clue." He shows that temporality is centrally involved in the movement of thinking called phenomenology of spirit. Parvis Emad is Emeritus Professor of Philosophy at DePaul University and author of Heidegger and the Phenomenology of Values. He is founding editor with Kenneth Maly of Heidegger Studies. Kenneth Maly is Professor of Philosophy at the University of Wisconsin-LaCrosse and editor (with Parvis Emad) of Heidegger on Heraclitus: A New Reading.